November 07, 2018 at 2:17 pm. New York Jets rookie quarterback Sam Darnold was spotted with a walking boot on his right foot Wednesday and reportedly will sit out this weekend’s game against the Buffalo Bills. The New York Daily News reported that Darnold has a “significant sprain” and will miss Sunday’s contest versus the Bills (2-7). 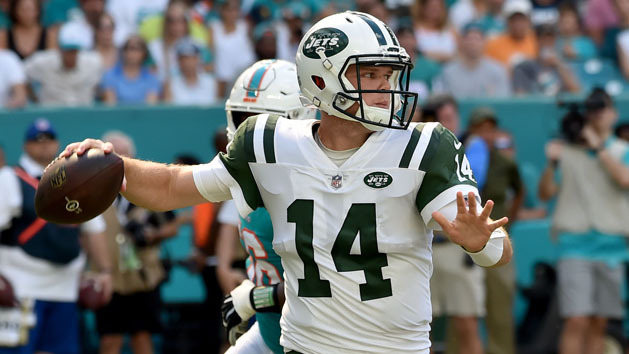 Darnold was sacked four times and hit on seven occasions in Sunday’s 13-6 setback to the Miami Dolphins. He completed 21 of 39 passes for 229 yards and four interceptions.